Q. I was recently given to read a book titled “The China Study” which is based on research conducted in 1970’s in China by Dr. Colin Campbell. His main conclusion is that eating dairy and meat causes cancer. His resolution is that a plant-based diet (i.e. vegan) is the (only?) healthy diet for humans. This book has made strong enough of a point to convince several of my friends to “convert” to a vegan diet in order to save their health. Could you share some comments on the validity of the research and conclusions this book presents with regards to detrimental effects of dairy and meat on human health? A. Campbell makes a forceful argument based on his interpretation of the research and on case studies of people whose diseases resolved when they became vegans. And yes I’ve seen Dr. Campbell’s new movie, Forks over Knives. The first half is a terrific introduction to how the current food environment promotes unhealthy eating. The second half promotes Dr. Campbell’s ideas about the hazards of meat and dairy foods. Whether you agree with these ideas or not, the film is well done and worth a look. Some scientists, however, interpret the research as demonstrating that people are healthier when they eat dairy foods. For example, the enormous consensus report on diet and cancer risk from the American Institute for Cancer Research and the World Cancer Research Fund concluded in 2007 that eating lots of red meat and processed meat is convincingly associated with an increased risk of colorectal cancer (but no others). On the other hand, they found dairy foods to be associated with a decrease in the risk of colorectal cancer. They found limited and less convincing evidence that dairy foods might decrease the risk of bladder cancer but increase the risk of prostate cancer. How to make sense of this? These are two food groups in the diets of people who consume many kinds of foods and who do many things that might increase or decrease cancer risk. Given this complexity, one food or food group seems unlikely to have that much influence on cancer when considered in the context of everything else people eat and do. Nutrition research, as I am fond of saying, is difficult to do and requires interpretation. Intelligent people can interpret the studies differently depending on their point of view. The new Dietary Guidelines say to cut down on saturated fats. Those are most plentiful in meat and dairy foods (plant foods have them, but in smaller amounts). Pretty much everyone agrees that plant-based diets promote health/ But whether they have to be 100% plant-based is highly debatable. The new USDA MyPlate food guide suggests piling plant foods—fruit, vegetables, and grains—on 75% of your plate so the argument is really about what goes on the remaining 25%, what USDA calls the “Protein” section. You can put beans in that quarter if you don’t want to eat red meat, poultry, or fish. Q. I’d love to hear your take on the recent walnut flap [accusations that the FDA now considers walnuts to be drugs]. I suspect walnuts got caught with such offenders as Pom, Froot Loops, and Juicy-Juice, but I’d love to find out what the FDA actually said about this. For some odd reason I don’t believe the article is presenting the whole truth. A. This is a health claims issue. The FDA is not saying walnuts are drugs. It is saying that Diamond Walnut is claiming walnuts as drugs on package labels. How so? The labels say the omega-3 fatty acids in walnuts may help lower cholesterol; protect against heart disease, stroke and some cancers (e.g. breast cancer); inhibit tumor growth; ease arthritis and other inflammatory diseases; and even fight depression and other mental illnesses. These are disease claims for which the FDA requires scientific substantiation. The company’s petition did not provide that substantiation so the FDA issued a warning letter. In general, you should be skeptical any time you see a nutritional factor advertised for its ability to prevent or treat such a broad range of problems. Q. 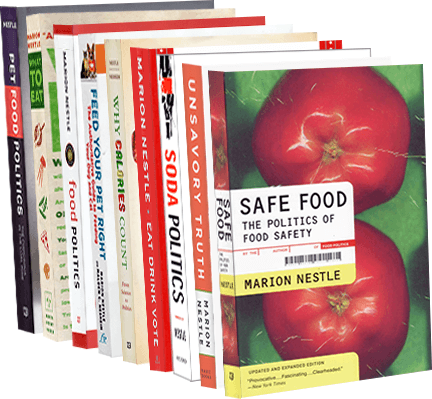 A question about sugar and how it is counted: My books say: 4 g = 1 teaspoon = 15 calories. My Illy Caffe says 10 g of sugar, but 50 calories. Ingredients: coffee, sugar, potassium bicarbonate, potassium citrate. If the drink is 50 calories, shouldn’t it say 12 g or more for the sugar listing? A. Sugar should be the only ingredient that has calories in this coffee but I’ve seen calorie lists that say 5 calories per gram for sugars. Food companies have some leeway in the way they compute calories. Illy may be using a method that gives 5 rather than 4. But the difference between 40 and 50 is hardly measurable and I wouldn’t worry about amounts this small, annoying as imprecise figures may seem. assess women’s understanding of and response to various statements on infant formula labels. The study results will be used to help the Agency to understand the role that certain types of statements on infant formula labels have in influencing formula choice….The study will focus on purchase choice, perceived similarity of the formula to breast milk, and perceived likelihood that the formula has certain health benefits. The idea? Omega-3’s will make your kid smart. I go on to explain that because formula is the sole food for infants, its composition is highly regulated. Therefore, all infant formulas have the same composition, and all virtually indistinguishable. Competition for market share explains why formula companies want to put distinctive nutrients in their formulas–especially nutrients considered “conditional.” A conditional nutrient is one that might have some benefits under some circumstances. Even if the health benefits are minimal or questionable, they can be used in advertising. That is the principal reason why so many formulas now have fatty acids added—omega 6 arachidonic acid (ARA) and omega-3 docosahexaenoic acid —the same one that is in fish oil. These two fatty acids are normally present in breast milk, and there is some evidence, weak and questionable as it may be, that they support infant brain development and vision. In its continuing effort to crack down on companies making deceptive claims that omega-3 promotes healthy brain and eye development in children, the FTC has just announced deceptive advertising charges against NBTY, a marketer of children’s vitamins. In February, the FTC issued warning letters to 11 companies that make products like this one (“pediatrician recommended,” yet). the multivitamins featured characters such as the Disney Princesses, Winnie the Pooh, Finding Nemo, and Spider-Man. Product packaging and print ads promoting the vitamins had bold graphics highlighting that the products contained DHA, but in reality, the products allegedly had only a trace amount of DHA. While the vitamins’ packaging touted the purported health benefits of 100 milligrams of DHA, a daily serving of the Disney and Marvel multivitamins for children ages four years and older contained only one thousandth of that amount (0.1 mg or 100 mcg), according to the FTC’s complaint. Bars NBTY, NatureSmart, and Rexall Sundown from misrepresenting the amount of any ingredient contained in any product. Bars them from misrepresenting that any ingredient, including DHA, promotes brain or eye health or provides any other health benefit, unless the claim is true and backed by competent and reliable scientific evidence. Specifies that any violations could subject the NBTY, NatureSmart, and Rexall Sundown to civil penalties. I wonder if the FTC is taking a look at the DHA “brain development” claims for Nestlé’s Juice Juice? Just a thought. Activia yogurt will relieve temporary irregularity or help with slow intestinal transit time, unless the ad conveys that three servings of Activia yogurt must be eaten each day. Any other yogurt, dairy drink, or probiotic food or drink will relieve temporary irregularity or help with slow intestinal transit time unless the company has two well-designed human clinical studies that substantiate the claim. The health benefits, performance, or efficacy of any yogurt, dairy drink, or probiotic food or drink, unless the claims are backed by competent and reliable scientific evidence. The FTC wants science to back up health claims. What a concept! Functional ingredients in infant formula: Are these about health or marketing? If you don’t have a small baby, or your baby is breastfed(and see note at end) you no doubt are missing the furor over “functional” ingredients that companies have been adding to infant formulas. DHA (an omega-3 fatty acid) came first. As I discuss in my book, What to Eat, infant formula companies could not wait to add it. They knew they could market it on the basis of preliminary evidence associating DHA with visual and cognitive benefits in young infants. Although evidence for long term benefits is scanty, the companies also knew that they could charge higher prices formulas containing DHA. The FDA approved the use of DHA in infant formulas on the grounds that it is safe, but did not require the companies to establish that DHA makes any difference to infant health after the first year. Because of its marketing advantage, virtually all infant formulas now contain DHA. Surprise! They also cost more. Companies now want to add other ingredients, such as prebiotics, probiotics, lutein, lycopene, and betacarotene, which also can be marketed as healthier and at higher prices. In response, the Center for Budget and Policy Priorities (CBPP), has issued a report on the lack of evidence for the benefits of functional ingredients and the substantial harm they will cause to the economic viability of the WIC program, the USDA’s assistance program for low-income mothers and children. WIC buys about half the infant formula sold in the United States each year. WIC is not an entitlement program, meaning that the number of participants is limited by available funding (a GAO report explains how this works). As pressure mounts to limit federal discretionary spending, it is critical to ensure that WIC not spend funds on foods with functional ingredients that do not deliver clinically significant benefits. WIC spent approximately $850 million on infant formula last year, and a recent USDA study found that more than ten percent of that spending ($91 million annually) is attributable to higher-priced formulas with functional ingredients. Under current law, the additional cost to WIC of providing foods with these ingredients is likely to grow substantially as such foods proliferate. There is no mechanism within the national WIC program that requires USDA to review the research evidence on the claimed benefits of these functional ingredients or to base decisions about whether to offer foods containing such ingredients on their benefits and the specific needs of WIC participants. Currently, instead, infant formula manufacturers themselves decide whether WIC offers infant formulas with new functional ingredients, while state WIC programs decide whether WIC should offer other foods with such ingredients. As I keep saying, functional foods (and ingredients) are about marketing, not health. If companies are going to add functional ingredients–and charge higher prices–they need to have some convincing scientific evidence to back up their claims. Congressman George Miller, Chair of the House Education and Labor Committee, is writing the bill that reauthorizes the WIC Program this week. He should include a provision requiring independent scientific review of the efficacy of these “functional ingredients” before USDA allows them in WIC foods and infant formula. Note: Lori Dorfman sends a Berkeley Media Studies Group issue paper on how to advocate for hospitals and workplaces to make it easier for moms to breastfeed. Europe demands scientific support for health claims. Why can’t we? The European Food Safety Authority (EFSA) has just rejected a proposal from Merck to allow it to use a health claim stating that omega-3 supplements promote eye and brain health in infants. Merck wants moms to take omega-3 supplements during pregnancy and give such supplements to their infants. EFSA reviewed nearly 90 studies on this topic and concluded that the study results were not “informative.” In other words, they showed no benefit. Imagine. The EFSA demands scientific substantiation of health claims. I wish we could do that. Here’s another example from the pomegranate folks. They do brilliant advertising, but this time the British are complaining that these marketers went too far when they posted billboards stating that pomegranate (“antioxidant powerhouse”) juice will help you cheat death. The British advertising standards agency balked. Here too, pesky science gets in the way. Studies not only fail to support a benefit of antioxidants but sometimes show harm. The EFSA interprets all this as unworthy of a health claim. What can the FDA do? If it says there isn’t enough evidence, it gets sued and loses. The courts tend to rule that food companies can say whatever they like about health benefits on the grounds of free speech and the First Amendment. In January, the FDA published “guidance” for industry about how it plans to evaluate the scientific basis of health claims. Guidance is just that. It is non-binding. Hello new administration. How about taking a fresh look at the health claims situation and paying close attention to what regulators in Europe are doing. How about considering just saying no to health claims. Upgraded health claim for omega-3? Yes Virginia, there is indeed a trade association for everything and omega-3 fats have their very own. This one is hard at work trying to get the FDA to approve a full health claim (as opposed to the current qualified claim) for omega-3 fatty acids and heart disease risk. The FDA now allows this statement: “Supportive but not conclusive research shows that consumption of EPA and DHA omega-3 fatty acids may reduce the risk of coronary heart disease” (my emphasis). I can understand why the omega-3 industry wants something stronger. Health claims, as I keep insisting, are about marketing, not health.